One musician's life displayed the whole Church in microcosm. Editor’s note: This is the tenth piece in our series on Christian Unity. Amy Grant called him “the uneasy conscience” of Christian music. Some call him its court jester or traveling bard, or even its whiskey priest. 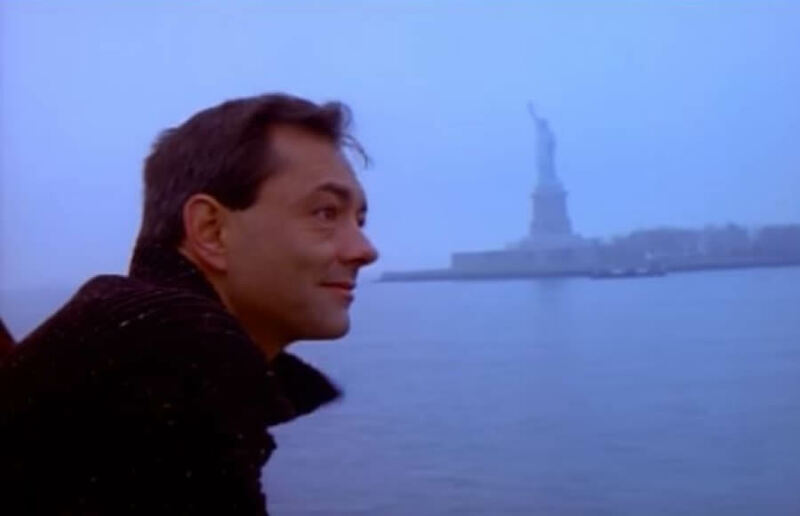 I’m speaking of Rich Mullins, whose untimely death I marked at The Stream last month on its 20th anniversary. Much more than “the Awesome God guy,” Mullins was a remarkably gifted writer, lay theologian, and denominational bridge-builder. By word and deed, he modeled an ecumenism as principled as it was robust. As we reflect on the 500th anniversary of the Reformation, we find in the life’s work of one man a microcosm of the Christian unity to which we call the Church today. The spiritual journey of Rich Mullins began outside the bounds of Protestant or Catholic orthodoxy, in a small Quaker community. His mother, Neva, was a devout follower. But the Quaker practice of silence, which stuck with Rich for life, clashed with his father’s hot Irish temper. For John’s sake, Neva switched to the little country church across the way. The practices of baptism and communion were strange, new experiences for young Rich, since Quakers are aggressively anti-sacramental. That crust of bread and jigger of wine seemed like an awfully cruel tease for refreshments. And what could that man being dunked in water by the preacher have done to be so embarrassed to death? In the biopic Shadowlands, C.S. Lewis says that we read to know we are not alone. Loneliness and Rich were old companions. Growing up in Hoosier country with no athletic skill marked him for ruthless bullying. Puttering ineptly around his dad’s farm just poured salt in the wound. Rich credited Lewis as the first author to shake him out of his embittered arrogance in high school, impressing on him that Christianity was a thinking man’s religion. From there, he made other dead friends: Chesterton, Thomas Merton, St. Francis of Assisi, and more. And nothing pleased him more than to introduce people to them. Orthodoxy was his calling card. He left it with everyone from Steven Curtis Chapman to a Catholic fan at a concert, after earnestly peppering her with questions and giving her answers his undivided attention. His dead friends snuck into his songs too, from Creed and Growing Young (Chesterton) to Hatching of a Heart (Merton). His lyrics walked a tightrope of artful accessibility, distilling the essence of 20th-century Christian thought across denominations for the common man. … [F]or me, it is wonderfully refreshing to be able to say, ‘This is what I believe in!’ And, because I believe in these things, I have lined myself up, not only with the truth … but … with generations and generations of people who have clung to the same realities. And I’m not alone in my faith, even though I may feel overwhelmed at times…I am lined up with Augustine. I’m lined up with Calvin. Bandmate Jimmy Abegg recalled, “For Rich, even an hour in a bad church was better than not going at all.” At each stage of his life, Rich put down roots in a local body and served, and he urged younger men who shrugged off church attendance to follow his example. In Nashville, he fell in love with the weathered clapboard and old wooden pews of Bell Methodist Church, often slipping in to meditate alone or finger out a song on the piano. In Wichita, he joined a non-denominational congregation and submitted to the authority of its elders. In New Mexico, even when he began attending a Catholic parish in his last years, he doubled up on Sunday morning with regular attendance and worship leading at a Bible church. He also cherished the heritage of Protestant hymnody and hated to see its power diluted with modern tweaks. (He once said it was the Church’s job to teach people what an Ebenezer was instead of modifying Come Thou Fount so they wouldn’t have to.) A friend of mine shared that when he helped tear down the stage for one of Rich’s concerts, Rich came out to join the cleanup crew and chat about their favorite hymns. When they were done, he took hymnals from the church pews and passed them out for an impromptu sing. Privately, he made hymn singing a regular part of devotions for his unofficial monastic community, the Kid Brothers of St. Frank. Catholic member Michael Aukofer recalls that this was the first time he had ever heard Protestant hymns. Through Rich, he came to cherish them too. Mirroring our John Zmirak, Rich first found solidarity with Catholics in the trenches of pro-life activism as a young man. As he grew older, his deepening interest in the Catholic faith pulled him away from the evangelical subculture where he worked. Its monastic tradition gave vocational purpose to his singleness. Its theology of submission and suffering spoke to his inner torment. The beauty of its cathedrals and saints’ statuary enthralled him (and no doubt puzzled fans when those statues filled the liner notes for his greatest hits collection Songs). In Wichita, he made Father Michael McGinnis his close companion and confessor. Fr. Michael later shared, “Rich would show up at my office in the middle of the day or call me in the middle of the night … And we would talk, and argue, and laugh, and pray.” He encouraged Rich to undergo the Church’s RCIA, a catechizing process for prospective converts. Still, hesitations remained. Doctrinal questions lingered. Rich recognized that the differences between Catholicism and Protestantism were not trivial. The hurt it would cause his fans weighed on him as well. These were different times, when Catholic musicians like Matt Maher and Audrey Assad would have struggled to find the wide success they enjoy today. He never quite made the leap, though many have speculated about just how close he was. But those who knew Rich best knew that nobody had a claim on him then, and nobody has a claim on him now. He lived and died firmly in possession of his own convictions. The last thing Rich Mullins would have us do is sacrifice our own convictions on the altar of tolerance. He was known to say, “Argue with me, and I will respect you.” He would wish for all true believers the boldness to defend what we believe and the grace to hear another man’s apology. And in all things, he would bring us back to the Scriptures he implored us to search for ourselves before blindly accepting his words, or the words of any man. I picture him at the Tiber, wading in with glad hands outstretched to one shore and to the other, so that he might be but one link in the great chain of saints. I picture him lifting his ruined voice in a song that one side might take up and teach to the other, so that he can rest — his work finally finished, his race finally run. Rich belonged to God alone. He deflected the glory to Jesus Christ. He struggled as all true believers with how to fit into the church and extracted the precious from the worthless. I thank God for his honesty. Thank you for introducing and sharing this special disciple…I was familiar with a few of his songs, but knew nothing about him personally, perhaps because his death pre-dates my conversion by a few years. But I have read both your articles and viewed some of the video footage, and love the guy. Yes! That’s what I love to hear! Having grown up Catholic, and now attending a “non-dom,” I could hear the struggle to balance the perspectives in Rich’s songs. His was a singularly deep and insightful talent. I still miss him, and still find great inspiration in his music.